Showcase your unique personality with a woman's Larkin Merino Shearling Coat with Asymmetrical Gold Fox Collar! Genuine Merino shearling is dyed hunter green and features a metal zipper closure. 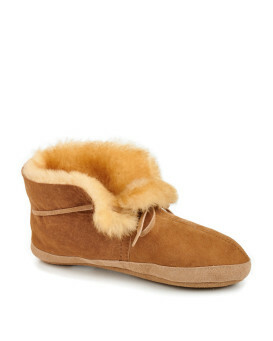 The suede exterior has a cozy wool interior to keep you warm. An asymmetrical natural gold fox collar creates an individual accent and boasts lustrous color and shine. A hidden button closure at your neck can be undone with ease. Adjustable fold up cuffs are comfortable on the sleeves. Two side entry pockets have button closures. This lengthy coat adds a glamorous accent to any outfit for a stunning look whenever.